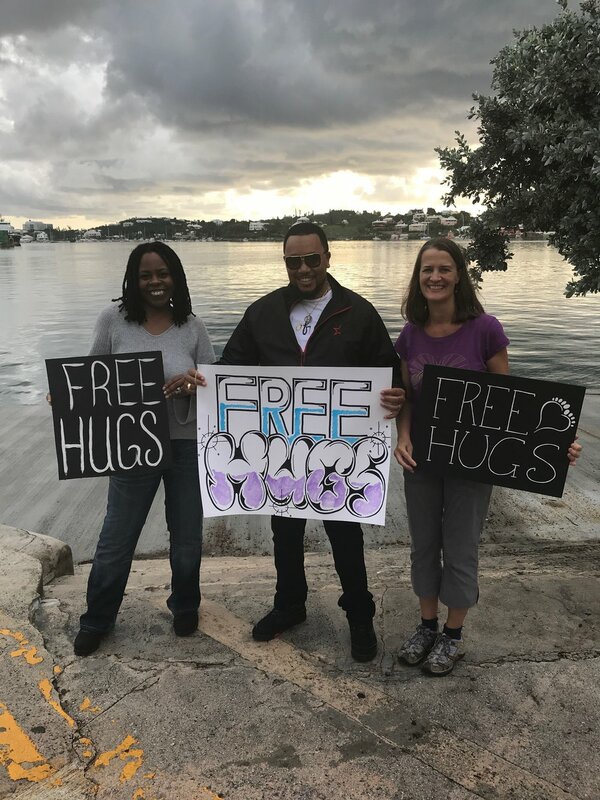 We couldn’t wait for #GivingTuesday (November 27) to give hugs . . . so we chose American Thanksgiving as a day to share our gratitude for our fellow human beings. 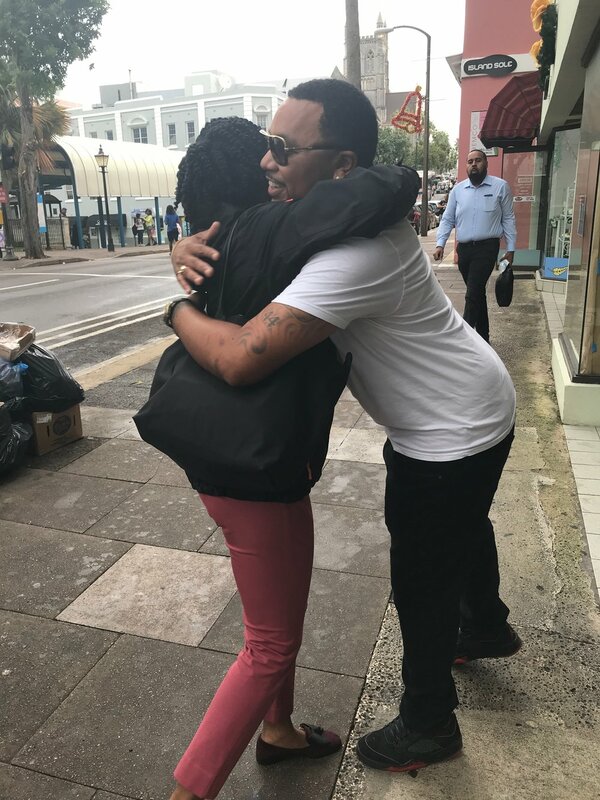 A hug is such a simple way to let others know they matter. 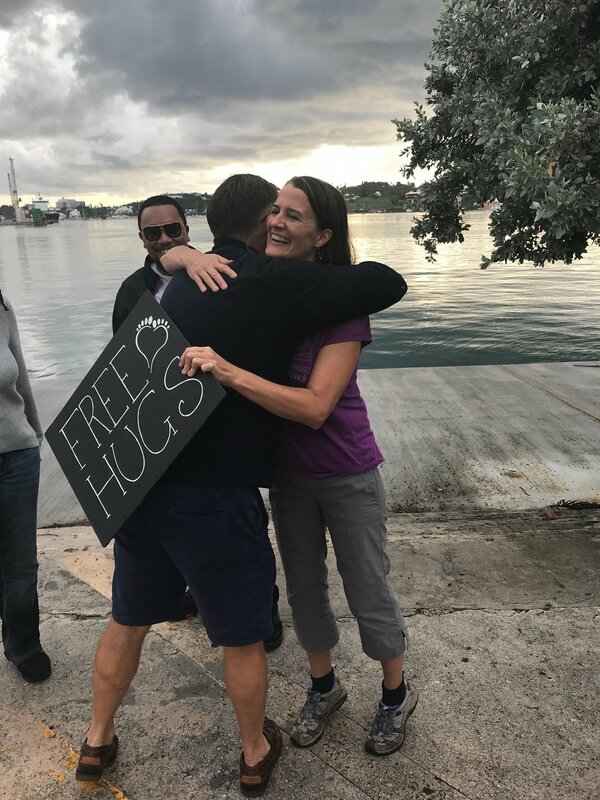 #WalkTogetherBermuda collaborators uplifted others with their hugs; sharing kindness, joy and love. 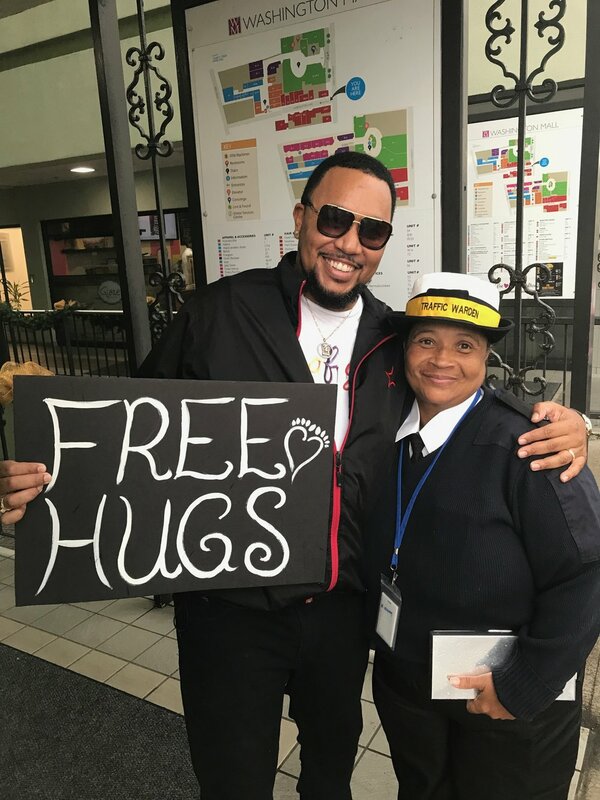 We can’t think of a better way to start people’s work day & welcome commuters to town than with a heartfelt hug.